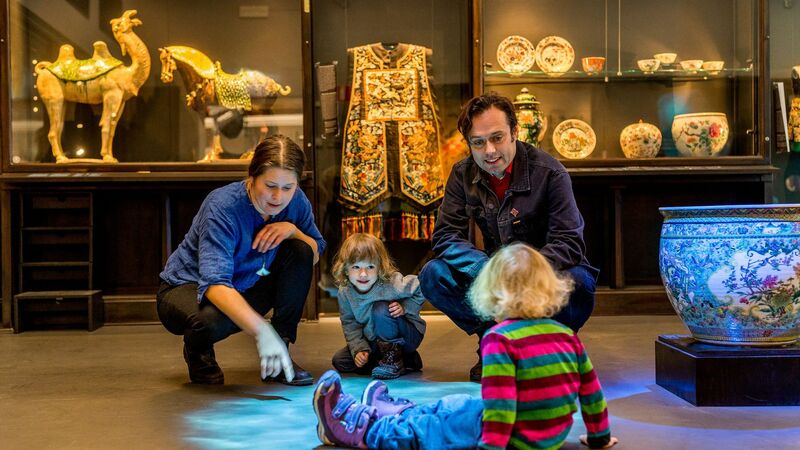 Kids and grown-ups are all welcome at the Röhsska Museum. Leave your jackets and coats in the cloakroom downstairs, where you will also find toilets, baby changing facilities and parking for your stroller. We recommend that you to leave your stroller in the parking room, but you can also take it with you into the exhibitions. Baby carriers can be borrowed at the reception desk. The Museum does not have an area for consuming picknicks or packed lunches, but the café on the entrance level has a microwave where you can heat baby food. Lockers and hangers are available in the downstairs cloakroom. We recommend you to park your stroller downstairs in the allocated parking room. Baby carriers can be borrowed at the reception desk. Toilets and baby changing facilities are available downstairs. The café has a microwave where you can heat your baby food.